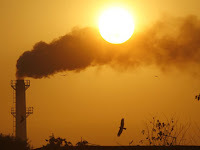 The Government of India (GoI) is all set to “drop” one of the most powerful calculation tool – Comprehensive Environmental Pollution Index (CEPI) – it had adopted in 2009 to measure the level of pollution in India’s different industrial clusters. One of India’s senior-most environmentalists Rohit Prajapati has said he has received “clear indications” that CEPI wouldn’t be used anymore, there is a strong view in GoI that it “harms” foreign industrial investment into India. Suggesting this would “adversely impact” efforts of fight health-related issues, which are particularly grave in India’s most polluting areas, Prajapati told newspersons, things have found to be particularly critical in several of Gujarat’s industrial clusters, especially Vapi, declared most polluted in India in 2011 and 2013 with a CEPI of 85.91, and Ankaleshwar with a CEPI of 88.5 in 2009. Prajapati was talking to newspersons on a proposed conference for July 11-12 to be held at Hirak Mahotsav Hall, Gujarat Vidyapith, Ahmedabad, where “crucial issues” on relationship between environmental pollution and health, particularly cancer, would be discussed. Among those attending the seminar would be a mix of activists, experts and concerned physicians (click HERE). Prajapati said, the move to do away with CEPI has come a year after the decision of the Ministry of Environment, Forests and Climate Change “to keep in abeyance” an earlier order dated September 17, 2013 banning fresh industrial activity in 40-odd critically polluting industrial clusters. The decision “has not been reviewed over the last one year”, he regretted. According to Prajapati, there was a crucial health component in the calculation of CEPI in 2013. “Though data on health-related issues for each of the clusters were not revealed, the very fact that it formed part of it is crucial in revealing out how environmental pollution impacts on serious diseases like cancer. The data should be made public”, he insisted.